Area schools have started their fall semesters and tonight, high school football games kicked off, literally, all over the region. A gorgeous evening with very fall-like temps encouraged a huge turn out for the Carl Junction Bulldogs first home game. Elissa and Josh, Greg and I, perched on the stadium bleachers, right at the edge of the student section. Those kids stand up, so not the best seats for the best view, BUT the energy was high…playful and spirited. And we could hear the band very well, since they were in the next section of bleachers. And while the football games are fun to watch and parents and students alike enter into the joyous, party-like atmosphere, I am there for the marching band. I am there to cheer during the half time show and appreciate a fine musical performance. Grandson Dayan, who is a junior in high school this year, plays the tuba and is the leader of that section. I am there for my grandson. Dayan, his section, and the entire band gave a wonderful performance. They played Grand Illusion and Mr. Roboto, lively selections by Styx. The band sounded great and marched together well. I’ve been in marching band. It takes concentration and skill to march in formation while playing an instrument. Well done, Marching Bulldogs. And well done, CJ football team. They won their first home game, 61 to 7. Their season is off to an explosive start! Elissa, Josh, Greg and I slipped away after the half time show. As we walked toward the car, Josh suddenly said, “Rootbeer floats”. That sounded like a great way to finish the evening! 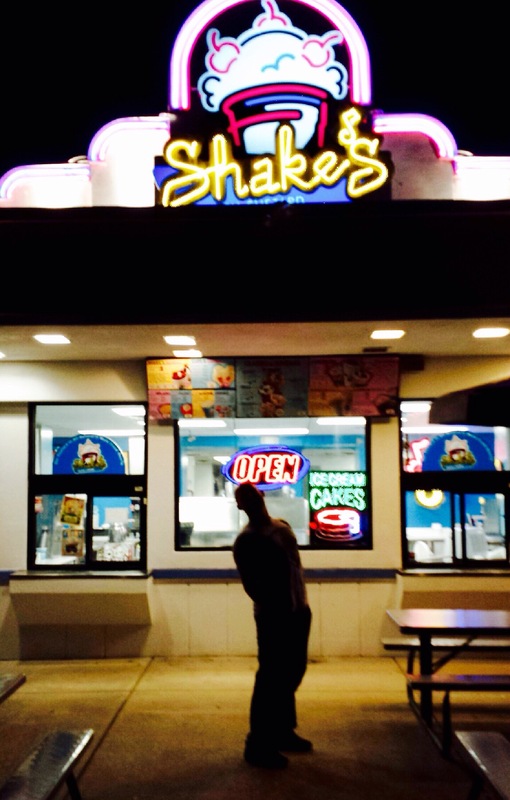 We ended up at Shakes, in Webb City. And no one had a Rootbeer float, although Greg came the closest with a Rootbeer smoothie, which is ice cream and Rootbeer blended together like a shake. We all enjoyed our cold treats, seated at a picnic table in front of Shakes, on a beautiful night. The conversation was fun and lively and we laughed as we chatted. 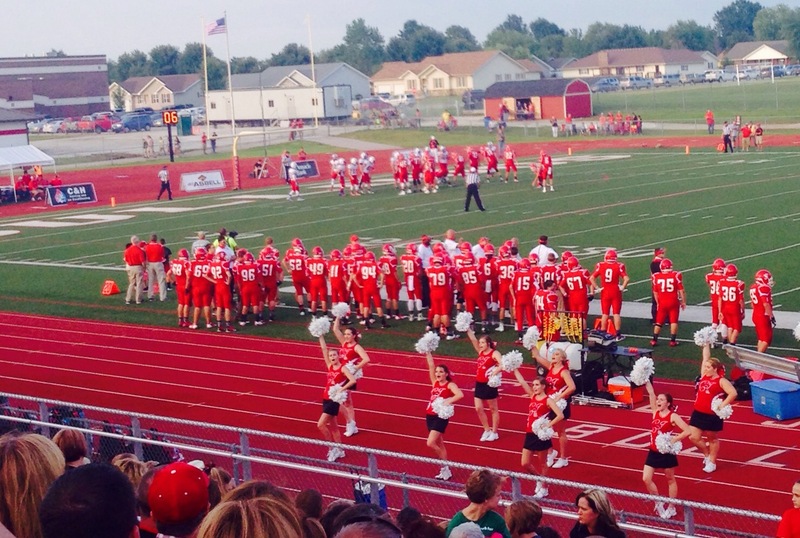 Football, marching band, family, ice cream…a great Friday night tradition.